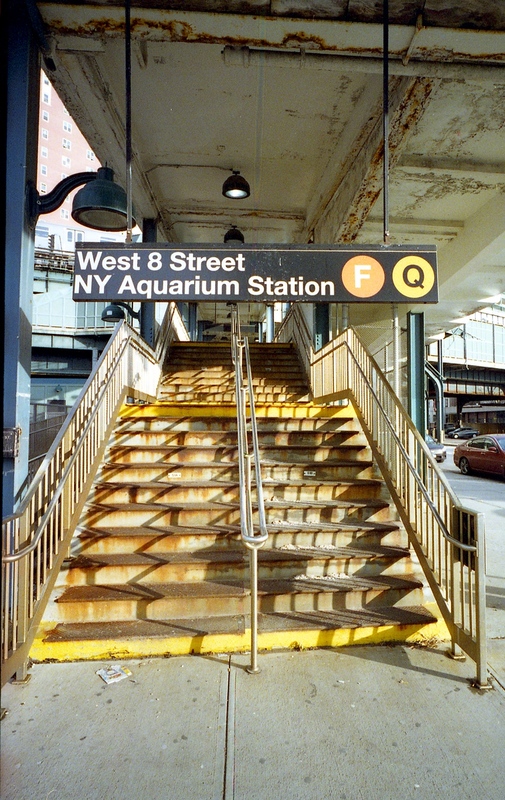 The New York Aquarium is located in Coney Island, and the subway stop is only a couple of long blocks from the Coney Island Terminal Station I showed earlier, although the entrance and structure is a lot less imposing. What caught my eye here were the shadow patterns on the steps. I really, really love this one Mark! I’m with you on it; those shadows are wonderful my friend!